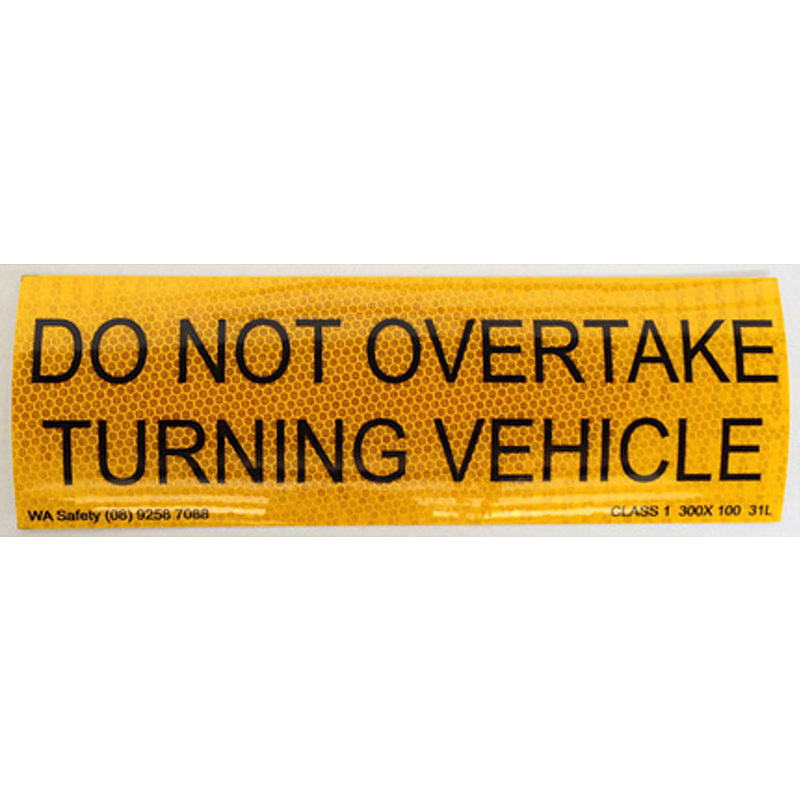 This self adhesive “Do Not Overtake Turning Vehicle” sticker is a must for all vehicles with an overall length of 7.5 metres or longer. These markings are particularly useful when negotiating a round-about or a left hand turn. If one marking plate is to be used it must be on the left hand side of the caravan/trailer at a height no less than 400mm and no higher than 1.5 metres from the ground. 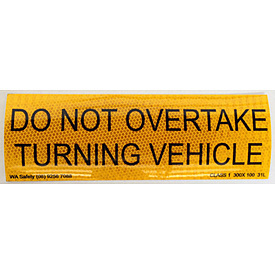 These stickers are made of an approved retro-reflective material and must not be obscured by other parts of the vehicle. The size of the sticker is 300mm x 100mm.